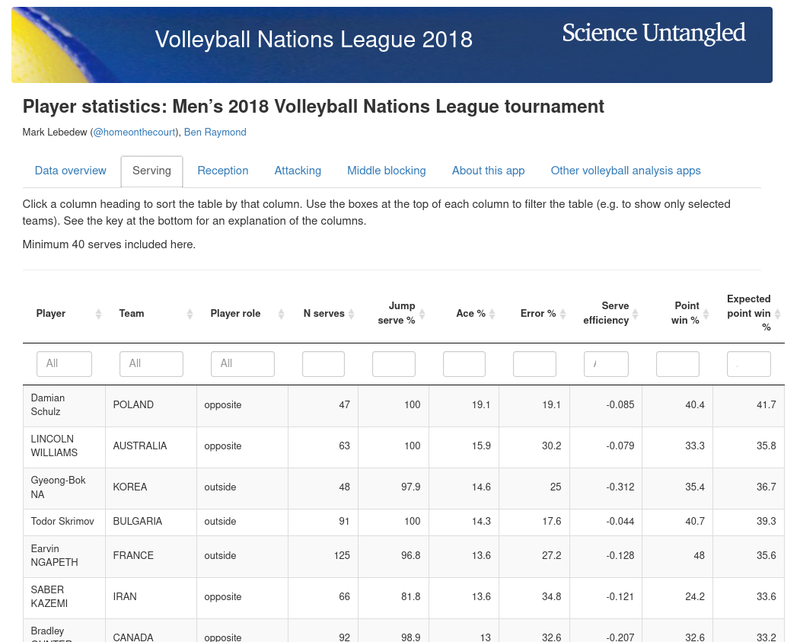 The Australian men’s volleyball team is competing in the first Volleyball Nations League tournament. Team coach Mark Lebedew and others have pointed out some limitations of the official player statistics. So here’s an app giving an alternative set of best player summaries. See also Mark’s blog post.